Ponies at Dawn : Awakening! To celebrate, PonyvilleFM will be hosting a DJ event Coming this Friday the 29th leading up to the albums live play and release. So come join on http://www.ponyvillefm.com/chat during it to talk about the new tunes! The Album will have a massive 54 tracks from a huge variety of artists including big names like Foozogz, Replacer, Kadenza and Starlight along with other highly talented artists such as DJT, Del Rom, Plum Creek Rhythm Section and many MANY more! This album promises to be one of the most exciting and diverse examples of what the brony music community is capable of. As usual, the album explores genres from all over the spectrum, with dubstep, future bass, glitch hop, hip-hop, metalcore, rock, orchestral and more! The album will be available from their bandcamp for whatever price you'd like to pay (including $0) once it is released on the 29th/30th of April (depending on your timezone), however it is available right now as a $1+ pre-order if you want to get in early and have access to a few pre-release tracks! And for Ponies at Dawns latest teasers, check out their Official SoundCloud page. As most of you know by now The Lost Narrator, popular fan VA & fanfic reader, had an unexpected medical emergency that required surgery and is now in the grasp of the American health care system. She luckily has come out of surgery now and is on the road to recovery but the real battle will start when the bills come in. The fandom, being what is is, all chipped in and released a compilation album crazy fast to help raise money for The Lost Narrator. 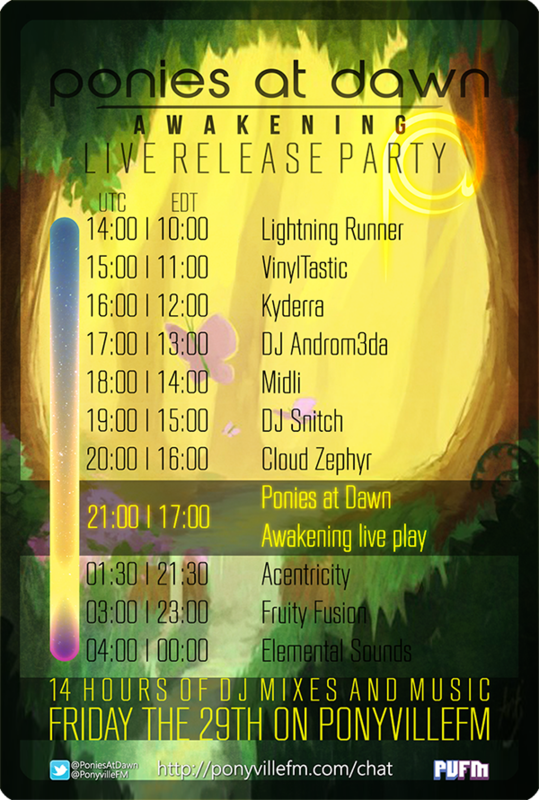 PonyvilleFM premiered last Wednesday and today we are hosting an all day party of live mixes and banging tunes to help raise awareness of the album. The goal to reach to help The Lost Narrator with her medival expenses is $1500 and in just 3 short days we are already half-way there. Come kick it on PonyvilleFM today, hang out in our chat, and listen to some great tunes with us while we try our best to hit that goal of $1500. Read below for more information from Reverie who helped put together this amazing album of Brony music. After The Lost Narrator—a popular pony fanfiction reader and voice actress—was rushed to the hospital in order to undergo an emergency surgery to remove an ovarian cyst that had grown to be the size of a basketball, an incredible number of people in the brony community stepped in to help her pay her medical deductibles. As you may have heard either here on PonyvilleFM or elsewhere, Horse Friends—the record label managed by Reverie Animation Studio (a.k.a. Ataraxia) and Vylet Pony—stepped in to assist. In less than three days OPALESCENCE was released, a 26-track album (including a 19-page digital booklet) highlighting some of the best artists both on the Horse Friends label and in the fandom as a whole. Including such artists as Internet Empire, Lavender Harmony, PON3, Knife Pony, and GatoPaint, OPALESCENCE made over $600 dollars towards Lost’s recovery in it’s first 24 hours alone. Now that the album has been released and the message made clear, Horse Friends has teamed up with PonyvilleFM in order to have a day-long music special to promote the album. 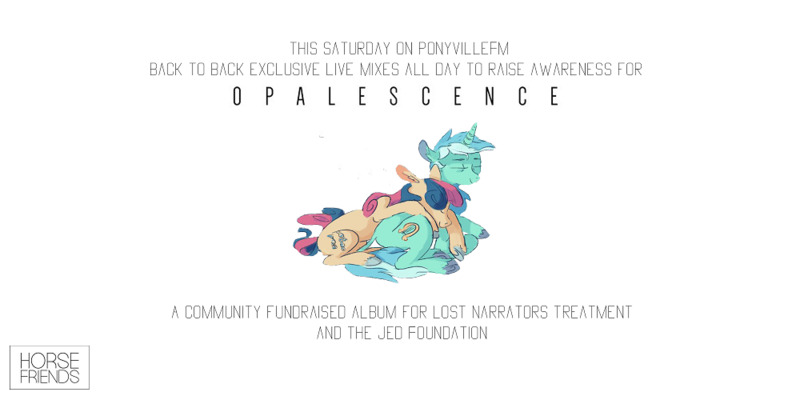 With mixes by such community artists as Kill Screen, Sleepypony, Knife Pony, Ataraxia, Internet Empire, Vylet, and more, Saturday March 2nd will mark a day full of music to help build awareness for both Lost’s situation and the OPALESCENCE album, which can be bought for only $7.99 (or more). 100% of the proceeds go to Lost Narrator, until a $1,500 cutoff amount, in which the remaining donations will go towards the Jed Foundation—a foundation whose mission statement is to promote mental health and prevent suicide and self harm in college and university students. Tune in to PonyvilleFM today at 11:00am EST to hear the start of the event! You can buy the OPALESCENCE album here https://ataraxiamusician.bandcamp.com/album/opalescence if you would like it in advance. PonyvilleFM welcomes Horse Music Herald to the extended family! Horse Music Herald is about the best thing to happen to the Brony fandom music scene since... well, ever. Its a purely unbiased collection of all the music that is put out by this fandom and keeps its visitors from ever worrying about missing a thing. Dont take my word for it though, you can hear straight from the 'horse's' mouth. "Hi there, welcome to The Horse Music Herald! In late December, myself (Spectra) and Francis Vace realised that the perception of the brony fandom’s music scene isn’t what it used to be. Gone are the days when everyone knew about all the music being released, and with a good reason: an oversaturation of new artists. It became difficult to decide who to follow or what to listen to among the many, many new songs released every single day. Our aim at Horse Music Herald is to provide a way to share good music by brony artists for anyone to enjoy. Whether you want to discover more lesser-known artists, find just a few songs to listen to, or are getting into the brony music scene for the first time, we believe this is the right website for you. As well as multiple “solo” posts every day with a detailed genre tagging system, we have plans to post about new album releases, events in the music scene, and other kinds of music related posts that we’ll introduce later on (#TBT anyone?). But for now, all we ask of you is to come along and enjoy the music. – Spectra and the Horse Music Herald Team"
Along with giving HMH our support you can also check out a brand new show from them airing at 10pm EST on the last Sunday of every month, only on PonyvilleFM. Tune in for their staffs personal favorite picks of all the amazing Brony music put out that month. Now go show them some love! Legends of Equestria & PonyvilleFM's present: PVFM's 5th Anniversary party weekend! 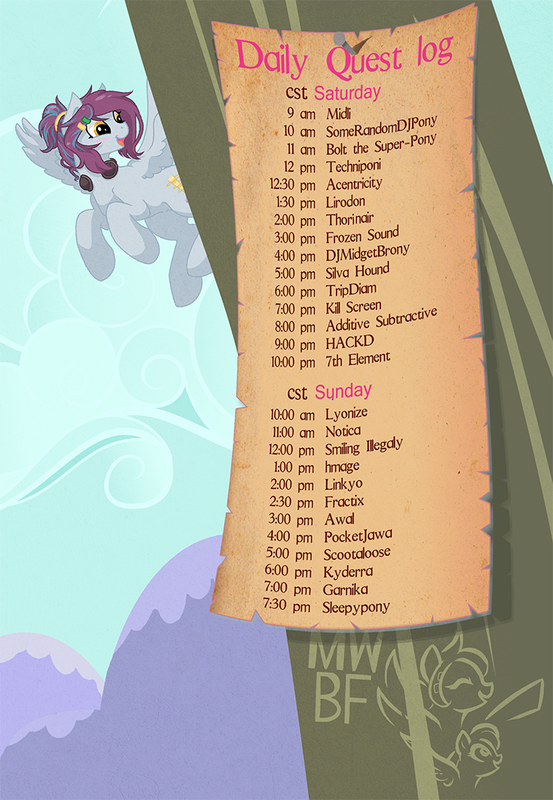 This coming weekend PonyvilleFM will be celebrating their 5th Anniversary! For this year event, PVFM has teamed up with LoE to give their anniversary during a open server at Sugar Cane Corner. 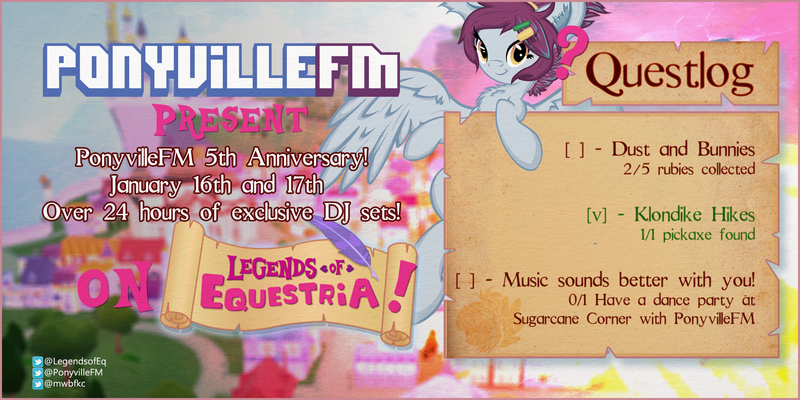 And it's not only PonyvilleFM, EQD will also be celebrating their anniversary on LoE! This means that this coming weekend there will be over 25 exclusive DJ sets, all by different DJ's! You can download the LoE here. We highly suggest following PonyvilleFM or PonyileLive on twitter to have a easy way to know when a DJ will be going on a few minutes in advance. 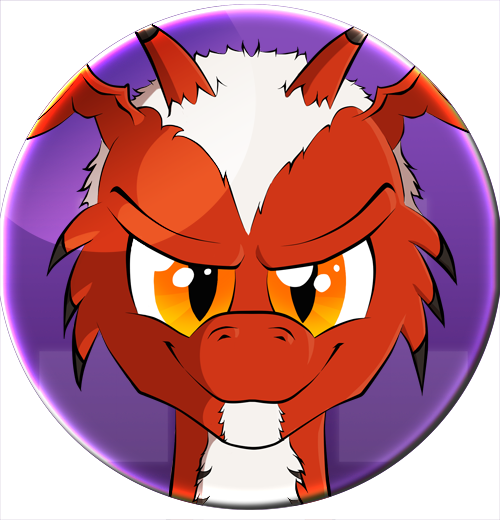 See you all in Legends of Equestria or the regular chatroom! Ponies at Dawn - Snowfall! Tonight at 21:00 UTC / 16:00 EST. 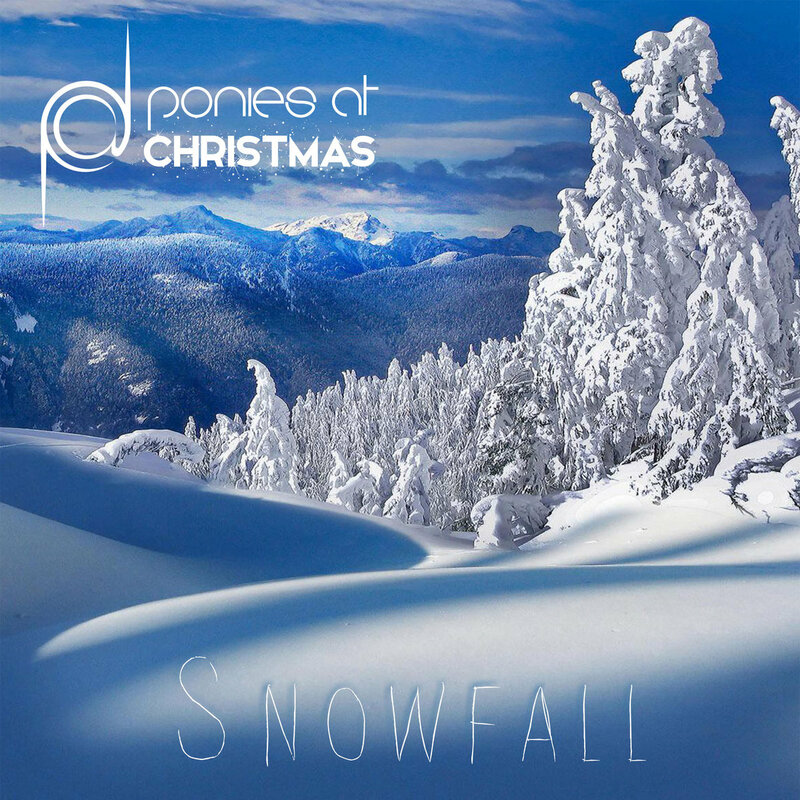 Ponies at Dawn are proud to announce the release of our 7th album - Snowfall! This release is especially themed around Christmas, with plenty of tracks to help get into the spirit of the holiday season with tracks from artists such as EnsionD, Rhyme Flow, Neighsayer, Francis Vace and Replacer, along with many other festive friends from the MLP community. As usual, we have a diverse collection of genres present ranging from ambient to dubstep, rap to rock and everything in between! 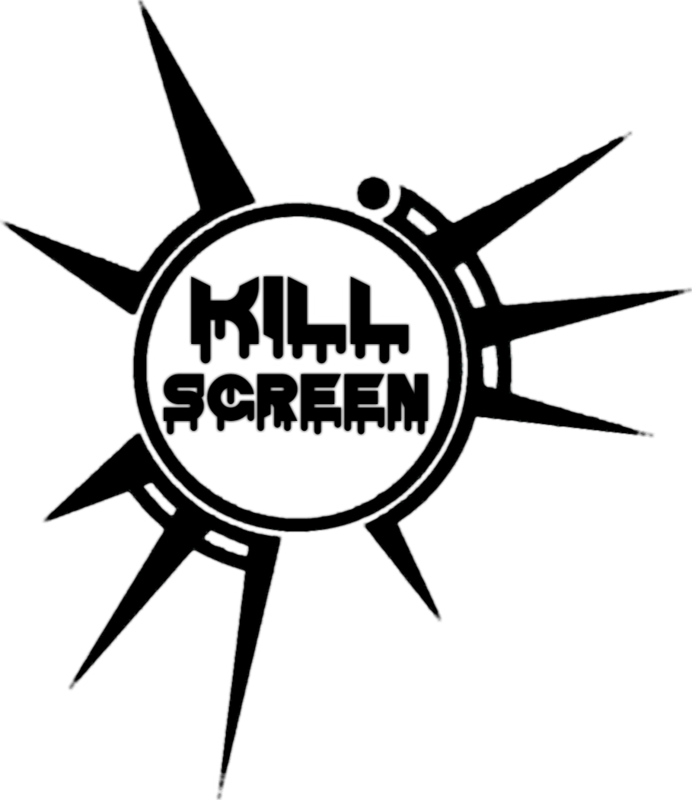 We will be having a simultaneous livestream on PonyvilleFM, Canterlot Hill and Fillydelphia Radio from 2100 UTC / 1600 EST. The album will be available from our bandcamp for whatever price you'd like to pay (including $0). Please consider donating something towards the album as proceeds go towards both the musicians behind the album and, this time, the World Wildlife Fund as well.